It was more than three decades ago that the first motorhomes properly graced our roads. All you could see before that were a few VW buses and hymermobiles on streets, camp sites or the odd beach. 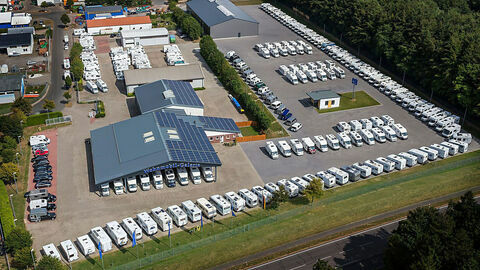 Naturally, this was also before the Motorhome Gallery GmbH came into being. As a renowned motorhome dealer, we have specialised in selling used motorhomes for over a decade and offer you a wide-ranging selection of quality motorhomes from numerous tried and tested makers for sale. No wonder we have maintained top spot in this field nationwide for some three years now – why don’t you, too, tap into our unique combination of experience, selection and service!